Firstly (is that actually a word? No underline, it must be. I am apparently now British or something), ahem, beginning again…firstly, I felt it important that I share a picture of the fearless founder’s recent near death experience. No, I’m not joking. You didn’t hear about it? I woke up one morning last week at a far-too-early time of 5:40 a.m. (that a.m. stands for in “advance of the madness”) to take Mister Cutie to an orthodontist appointment. We arrive at the office of the brilliant people to whom we paid thousands of dollars in the name of straight teeth. The assistant takes Mister G back to work on his fabulous junior braces, at which point I decide to visit the ladies room; that special place for people who are not yet fully awake. Oh hell, make that “not awake at all.” I was not awake in the slightest. Ahem. Carrying on…I was sitting on “the throne,” you know, the one for those ultra special blogger types, when suddenly and without warning, I nearly died. Yep. I. Nearly. Died. The fearless founder darn near suffered a stroke. I’m pretty sure I had no pulse for at least a sliver in time. Okay, not really. But I did feel inclined to share a picture with my favorite paralegal peeps to depict this rather catastrophic event. 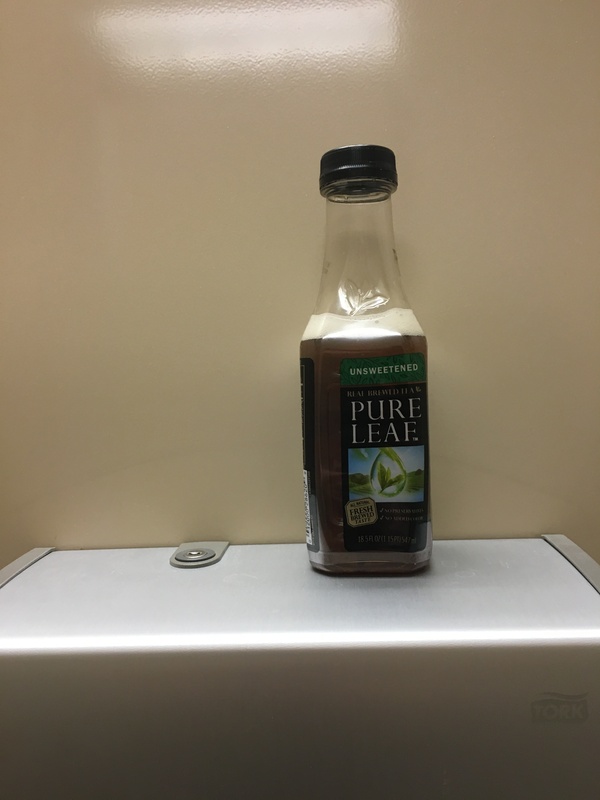 I know what you’re thinking, “WTH is she talking about—it’s a bottle of tea sitting on a little ledge.” True. But what you may fail to realize is that the little friggin’ ledge is slanted forward ever so slightly (but just slightly enough), so whilst the Queen was tending to her royal duties and trying to wake the hell up, that bottle of tea (my life’s nectar) slid off of that damn ledge, and dashed across my line of vision, crashing to the ground of the stall in which I was seated (thankfully, with the lid still on the bottle), scaring me half to damn death. I only felt it right to alert my favorite paralegal peeps and warn of this inherently treacherous threat that may be lurking in a nearby bathroom stall. Beware, y’all. Be very aware. And yes, it did wake me the hell up. A near death experience will do that for a person. Fear of death by elevator. As if my fear of elevators wasn’t already at an epic level. I am now seeking counseling. (Okay, I’m kidding. But I fear we are not too far off…) Nothing says reassurance like the “help me hand smears” all across the elevator door of the elevator a person is currently riding on. I shall depict my second near death experience when it unfolds before my eyes (and Siri’s) via iPhone 6S. You better believe it. (Oh Lawd, help us all.) 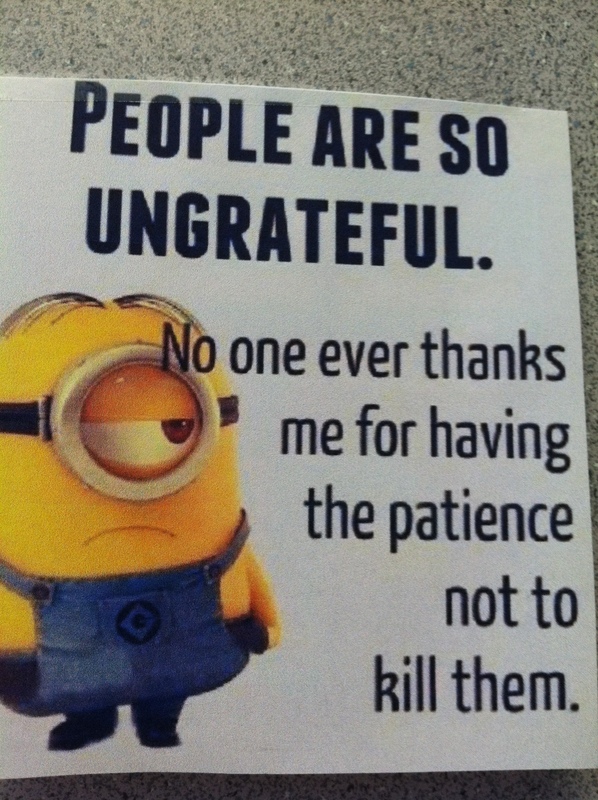 I do pray the coworkers do not forget that very important tidbit about getting the hell up to rescue people. Caw, caw!!! Paralegals as problem solvers. Namely, me. Most of you know I recently purchased a new home. (One of the greatest moments of my adult life, I do admit.) I cannot even begin to tell you how absolutely exciting that was. But it also involved a whole hell of a lot of packing and moving. (Let’s never do that again, okay? Don’t answer that. We’re staying put for life or selling every item we own in the event of a future move.) Anyway, when it came to the packing of a certain someone’s ultra-fabulous high heel collection, she feared that the aforementioned fabulous high heels would somehow become casualties of “the move,” resulting in utterly crumpled, wrinkled up, straight-up-ruined shoes. So she did what any good paralegal would do, she improvised. Because that’s how we roll, people. Problem? What problem? I solved the problem! However, I am happy to report zero casualties. Zero. It’s a real win for the paralegal moving team. I warn you in advance, this will be a bit of a trick question for most of you. No cheating or scrolling ahead. BUT THE BIG QUESTION IS: What is this a picture of? Let me guess—Did you say fruit? (No, seriously– you lose.) Sadly, it appears you have spent far too much time spinning paper, dancing across deadlines, and saving esquires in the legal mines to identify this rather simple staple item for hard working paralegals who have very little left by way of sanity or the ability to deal with other human beings (especially the stupid ones) on this planet. I do fear that your level for dealing with such things may be too far gone for you to even recognize this item for what it truly is. A gift from God. (Well, it is fruit, isn’t it?) What is otherwise known as “sangria.” Served promptly after 6:30 p.m. on a day from hell. If anyone got this one right, please do disclose your identity to me immediately. You just gained extra “cool points” in my book. Should we ever meet up, we should undoubtedly slice fruit together. This may or may not involve glasses filled with ice and a lot of giggling. Cheers to that. Halloween ain’t what it use to be. Fast forward to Halloween with a 9-year-old boy and the criteria for the costume selection becomes “what is the scariest, creepiest, grossest thing possible?” (sigh). I join him at the costume store, with self-proclaimed veto rights, only to pass forth the debit card and pay my $40 for a costume called (not so fondly), “Rotten to The Core.” (I do believe the thing was either a zombie…or perhaps, a paralegal after one too many days spent working for utterly crazy people in the legal trenches; the jury is still out at the present time.) While I do still very much enjoy spending this quality time with the person—as the trusty, faithful guardian of the debit card—I do miss those cute little costumes. What you need to know is this: I shall stifle my sorrow with Reese’s Peanut Butter Cups. A hell of a lot of them. (Believe. It.) I wonder if a person can actually eat her weight in Reese’s Cups? (That sounds like a personal challenge.) Does anyone else have this problem? Well, either one—the super scary costumes, or the affinity Reese’s Cups??? I’ve earned them, people. It’s called the “mommy tax.” I’m no dummy. That’s how it’s done. Orange and brown circles of happiness. No judgment. They shall help to soothe my soul, or at least to shut me up long enough to move on to the next topic…here goes. A critical poll regarding the incredibly enthralling topic of…(drum roll, please)…Green beans. (Insert utterly annoyed sigh of said salter/butterer/preparer person here.) I think this is the stupidest thing I’ve ever heard, unless, of course, you buy “cut” green beans from a can or the generic, frozen, cut green beans in lieu of real green beans that you steam like a friggin’ normal, green bean loving person. The long ones, served long, because they’re fresh, that’s why! 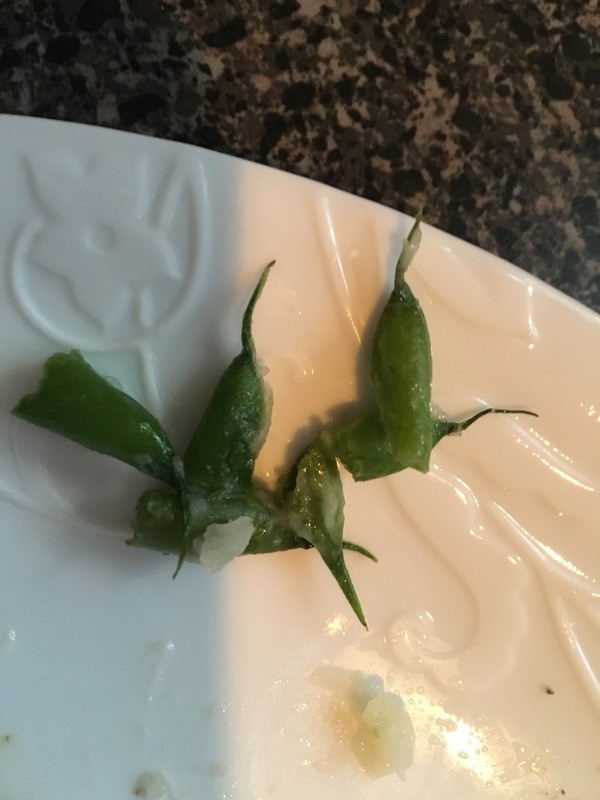 God grows fresh green beans just like this, so I’ll cut the twig off and eat ‘em just like that—I’m pretty darn sure of it. Please, please, pleeeeeeease tell me you agree with me on this topic of grave importance. Happy High Heel Friday (or darn near it), everyone! Now get to hustlin’…right on out of those law firm doors! TGIF, y’all. Please feel free to share this laugh with your paralegal friends. Leave a comment. Vote on those pesky green beans. Earn those extra “cool points” by disclosing your vast knowledge of sangria preparation. Tell me I’m funny. Say I’m crazy. Whatever. We’re totally listening. You are fabulous!! I just had an absolutely crazy day, was super brain fried, zipping through messages to catch up and yours popped up with laugh out loud truths! You rock sister! Thank you kindly, Tracey. TGIF. Kick off those heels and R-U-N! Friend, I agree with you on the green beans!!! And everything else, of course. Although I roast my green beans…YUM. TGIF…one more day in the trenches! Giggles… However, IF a person MUST eat GREEN BEANS… then BOTH ends NEED TO BE SEVERED!!! Namely, so that there is LESS said BEAN to be GAGGED down. The ONLY way a green bean is even SLIGHTLY TOLERABLE is IF they are sauteed in butter, onions and OODLES and OODLES and OODLES of fried BACON BACON BACON!!! SLIVERS of Beans! In a mound of onions and BACON! AND hopefully TOASTED ALMOND SLIVERS too. ANYTHING to DISGUISE the DISTASTEFUL flavor of GREEN BEANS! THEY are MY near-death vegetable! I don’t know how u come up with all of that! It was cute! I did know the fruit was for drinks-thus demonstrating mama’s coolness. But I could NOT believe that u eat those tails on your beans. 😝 They must not “snap” beans in WI!!! Love u!! Um, you do realize that if you gave birth to the person who eats the green beans wrong, you clearly made him this way, and your vote must be nullified, right? Vote? What vote? hee hee. 😷. Too funny. Love you, too! Great article and I agree with your green bean preparation. Unless there appears to be a bad spot on a fresh bean, I only snap off the twig ends, not the tips of the beans. I like to grill mine as well as steam them. Have a great TGIF! Thanks for casting a vote, Susan! Happy High Heel (or flat boot) Friday!!! It makes me soooo happy when I see that email in my inbox that you have something for me to read. 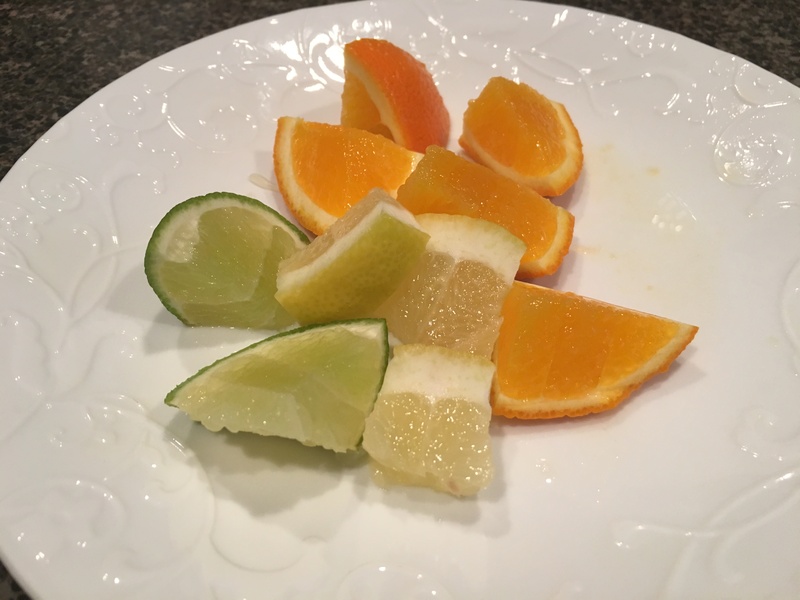 I must admit that when I saw that plate of cut fruit, my first thought was that it looked like the beginnings of a Hamilton. THE Hamilton is a drink my husband came up with when we vacationed in a little cottage by the ocean (a million years ago) in Virginia Beach that was named…Hamilton. It’s a nice little cranberry, orange juice, splash of pineapple with limes, oranges and lemons thrown in. And the Halloween costume! 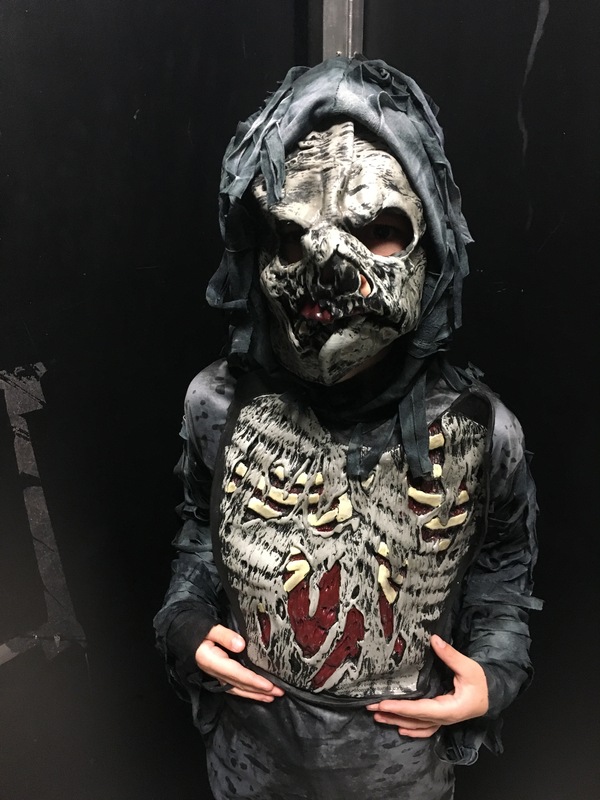 Oh my gosh, I told my 15 year old (as he placed his order on Amazon for the most hideous, ugly and scary costume mask) that I wanted to go back to dressing him up like a cute little lion or mickey mouse or superman with the built-in muscles. He wouldn’t hear it though. Keep on keeping on friend…have a wonderful weekend! Bob here, lol, long time I know. Well Oz it is definitely 5:00 pm somewhere let the fruit roll out the knives be sharp and the sangria flow. I’m game. Sangria and Reese’s cups life is good up there. Long time is right, Bob – er, I mean Debbie. I shall add your name(s) to the list of cool, sangria drinking people. I hope all is well. Shoot me an e-mail. Let’s catch up! 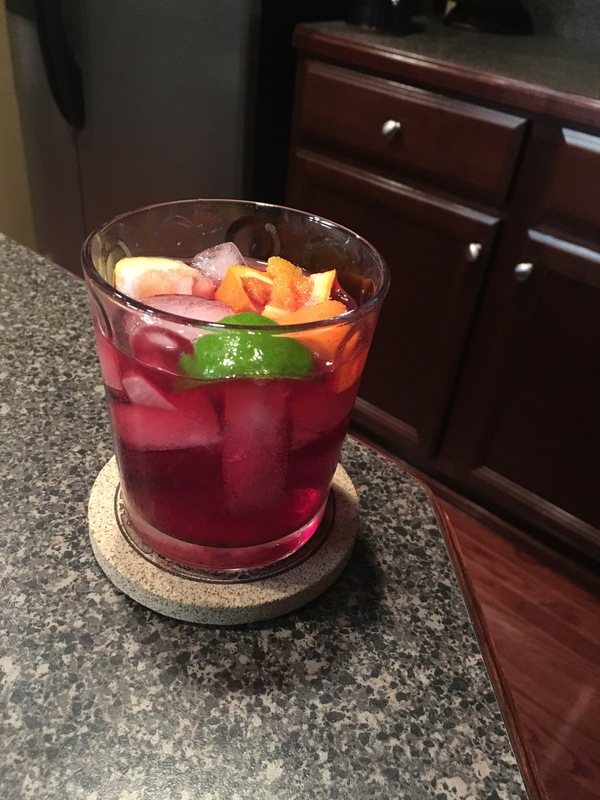 Although I am not a sangria drinker (I would never insult Le Vin Rouge by introducing it to fruit), I am fond of other cocktails containing the above-pictured fruit, particularly the humble lime. Whilst exploring vintage cocktails, I came upon a recipe (aka receipt) for a Gin Gimlet that contains nothing but judicious amounts of lime, sugar syrup and gin. This became my favorite post-paralegal-hell libation during these past summer months. Oh, and re: the green beans – I must agree with Mr. Collins on this one. Both ends of the bean must be snapped and my favorite way of preparing beans is to brown bacon and onions, add properly-snapped green beans and plenty of chopped tomatoes with additional liquid (water or chicken broth) and S&P as needed. On the green bean issue, and this may be opening another can of worms (or green beans? ), I DO cut off the tails but mostly because I eat them raw and the tails feel funny in my mouth. Chop them into bite sized, toss with some salt, Italian dressing (Penzeys, of course, I’m a good Wisconsin girl), ideally some sliced leek but onion will do, and maybe some tomato for color if you’re feeling fancy. Oh, and those weren’t “help me hand smears” – at least not from your side of the void. They were those of the poor soul swallowed up by the great and powerful Otis (or Schindler, or ThyssenKrupp); a tithing taken in payment for the continued safety of your own. Give thanks, and maybe make a little shrine in there to appease the elevator – you just might be safe the next time it needs to feed. Thank you Jamie! It’s just what I needed. I could use that beautiful Sangria too. Enjoy your weekend! Your restroom distress sounds like vasovagal syncope. Less serious than a stroke but still scary. Hope your doctor is on top of this. Jamie you are a life saver! I have been trying to figure out how to pack and move my high heels without them getting mangled… I won’t admit to how many clothes baskets I will have to find either. I thank you, my high heel collection thanks you, the fiance….well 2 out of 3 thank yous, not bad. 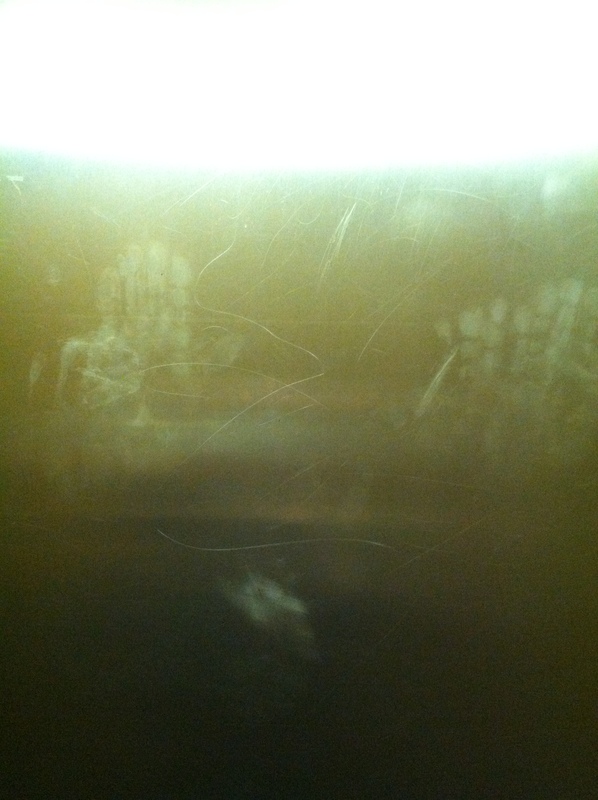 Why did you assume that the ‘help me’ hand smears weren’t from someone having a fun quickie in the elevator ? I guess since I work in Miami, I would just assume that’s what they were….